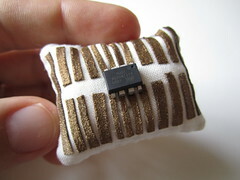 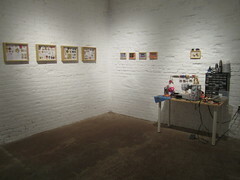 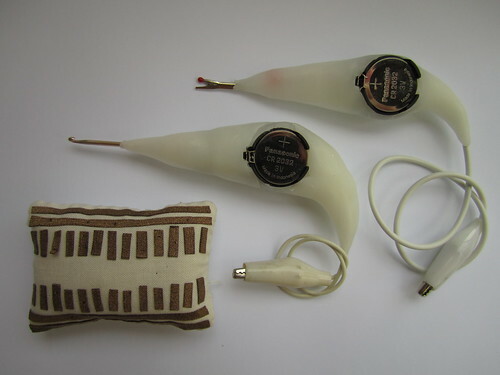 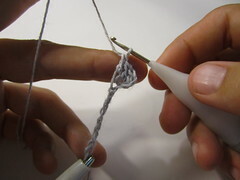 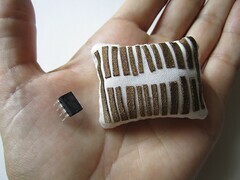 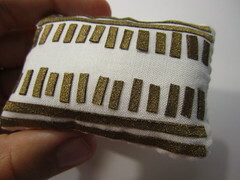 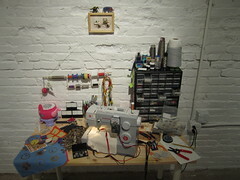 A set of tools designed to support a variety of E-Textile techniques such as sewing, knitting and crocheting with conductive threads and yarns. 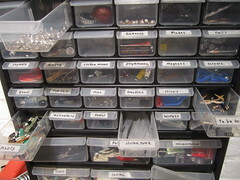 As ambassadors of process, and storytellers of trade, tools have much to say of how we create the things we make. 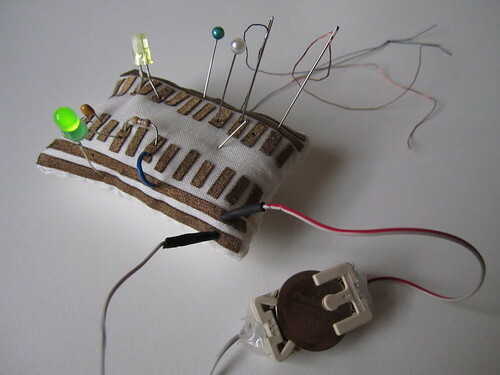 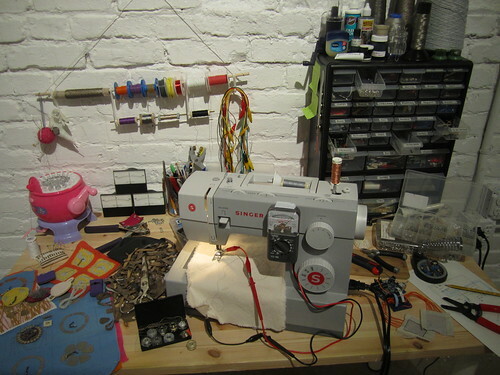 By imagining, creating and using tools designed specifically for the interdisciplinary practice of Electronic Textiles, it should be possible to tell new stories about a new trade. 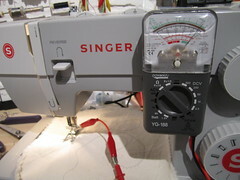 This seam-ripper has a continuity meter built in. 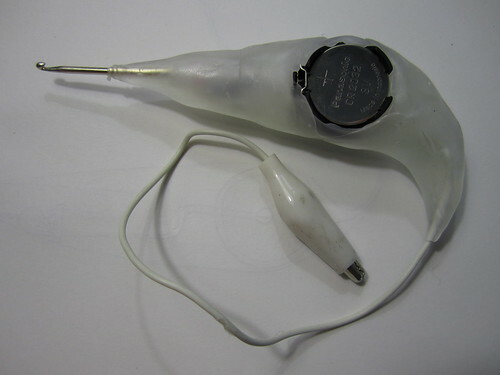 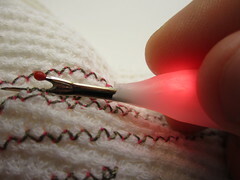 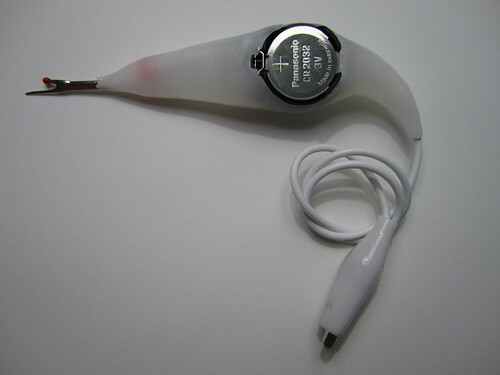 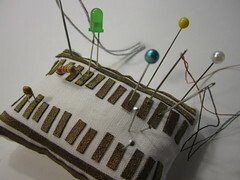 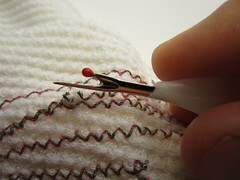 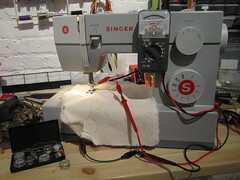 An LED lights up to indicate when an unwanted electrical connection is made between the tip of the seam-ripper and the part of the circuit that you wish to disconnect from. 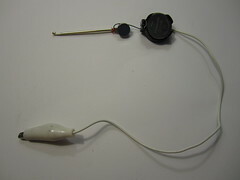 An alligator clip can be connected to different parts of the circuit, so that you can decide where to measure for unwanted continuity. 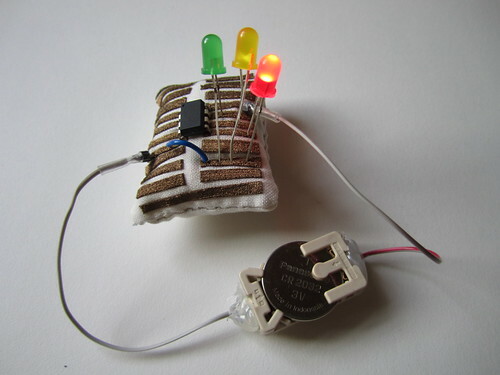 The LED is powered by a 3V coin cell battery. 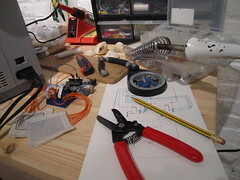 The brighter the light, the less electrical resistance.